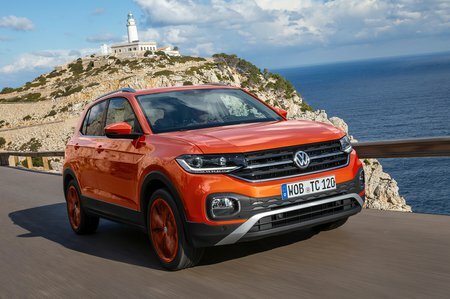 Volkswagen T-Cross 1..0 TSI 115 Review and Deals 2019 | What Car? This 114bhp three-cylinder turbocharged petrol feels more than a match for the Kia Stonic 1.0 T-GDI. It pulls well from just below 2000rpm and revs to its limiter with plenty of vim. You’ll not find it wanting, whether you’re getting up to speed on the motorway or lining up to overtake along a country road.